Note on protests: TEA Party goes to cop station, gets protest march permit, has nonviolent march, makes news, goes home. Occupy starts a picket and protest, one of them tosses rocks at cop or building, protest devolves into arrests and bad press. Who gets votes? Personally, I don’t see the split that way. The Tea Party has been mostly co-opted by the media, while OWS has not. 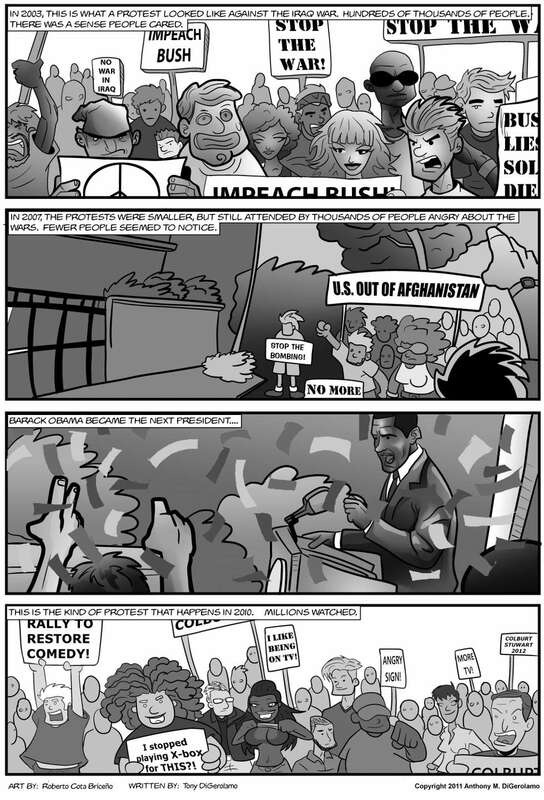 Then again, this was more about the Jon Stewart Rally and the war protests.